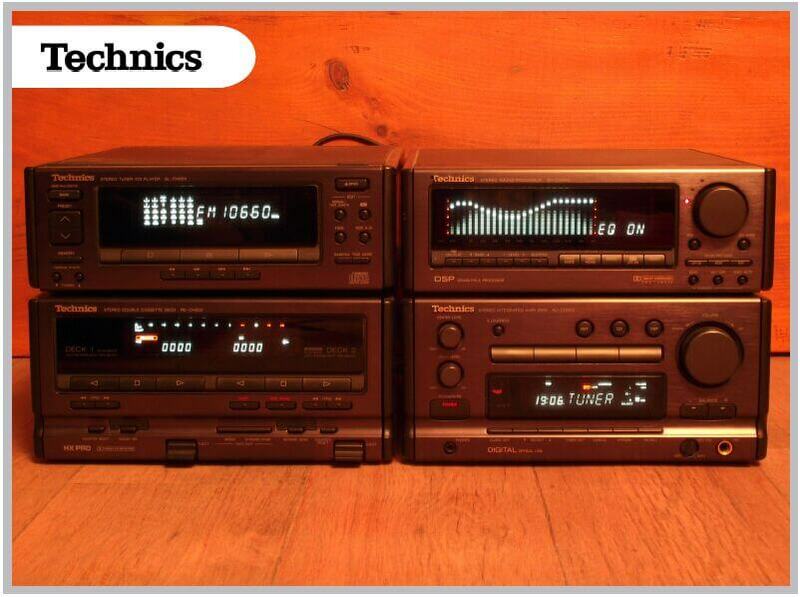 This system was also available as GRUNDIG MC10. The unit has a front loading CD player, digital tuner with presets, autoreverse cassette deck and remote controlled amplifier (system) with equalizer presets. The performance of this system is quite good and it does work very well. It has an elegant finish and it will look good anywhere you'll place it. 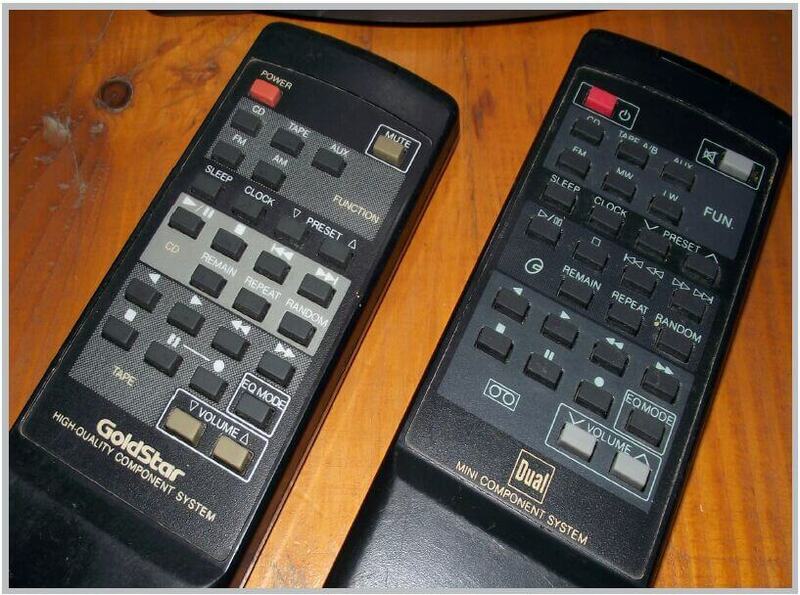 As you can see from the pictures I have both the matching DUAL remote and also one branded as GoldStar. Great two box, micro component system. Top loading (motorized lid) CD player. 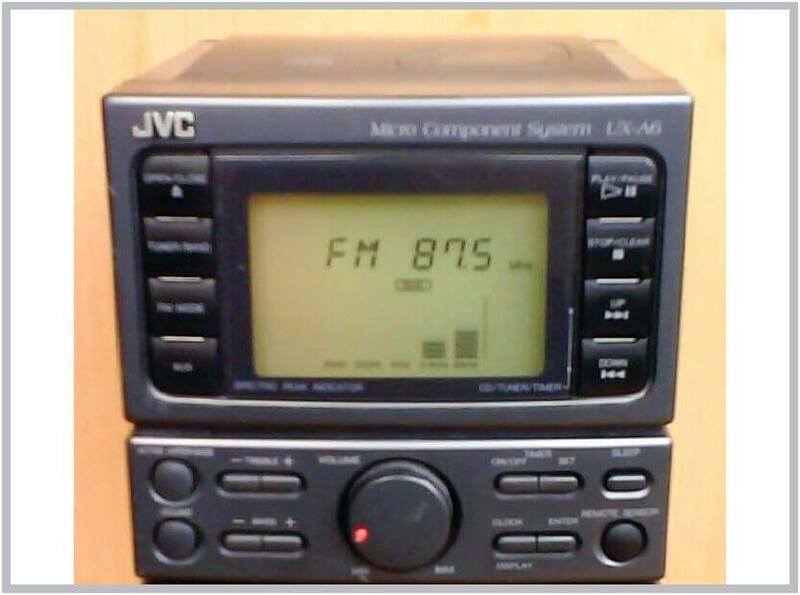 Digital tuner with preset control. 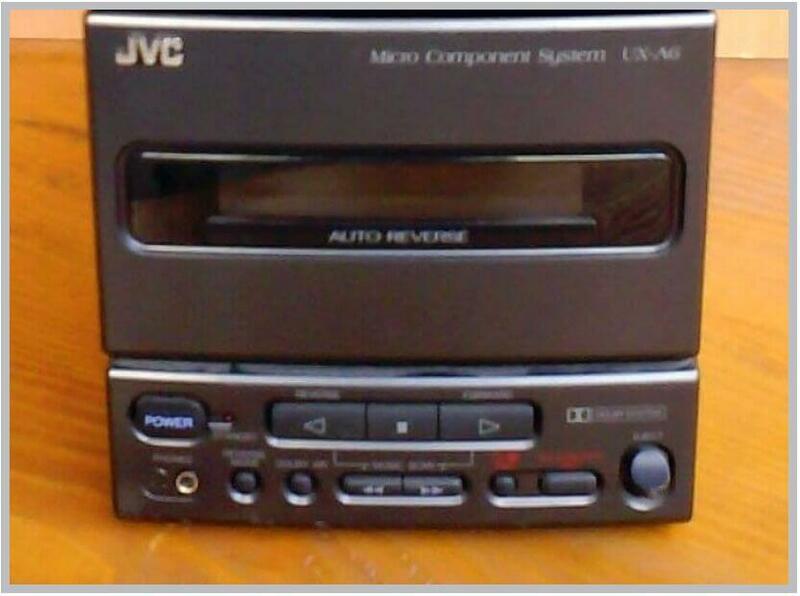 Auto reverse cassette with logic control. Separate Bass and treble control. Very good sound for a micro component, even with headphones. 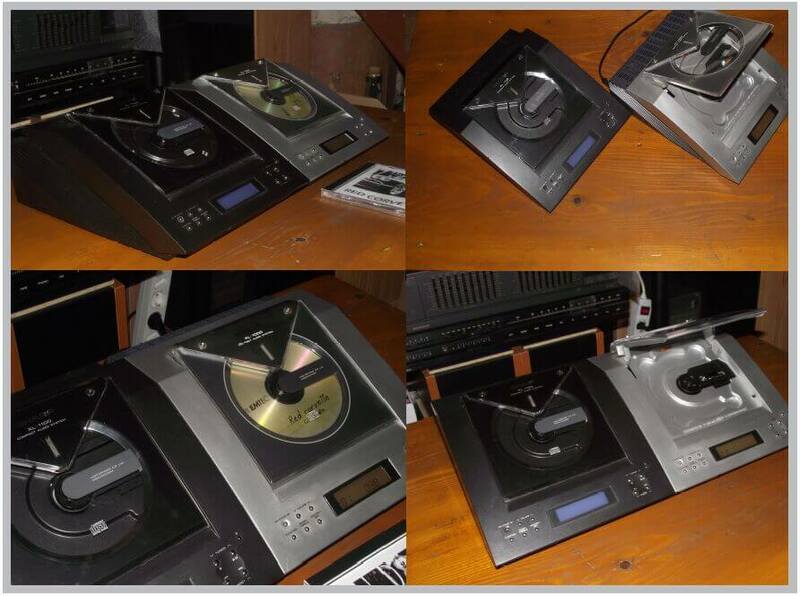 This unit was sold in Brazil as Gradiente MP-5 Prestige micro component system. It's black, It's white.... 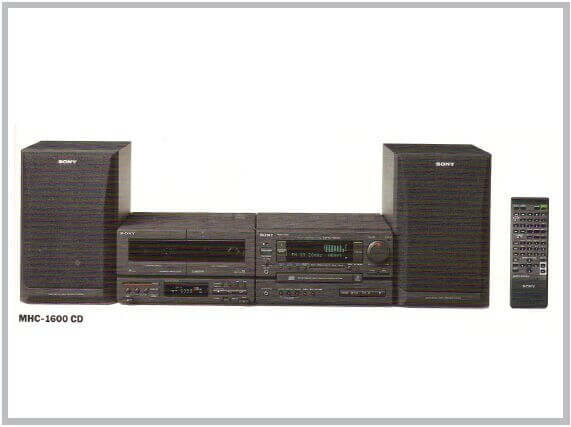 Compact designer audio system from SHARP. The black is model XL-1100 and the silver is model XL-1000. 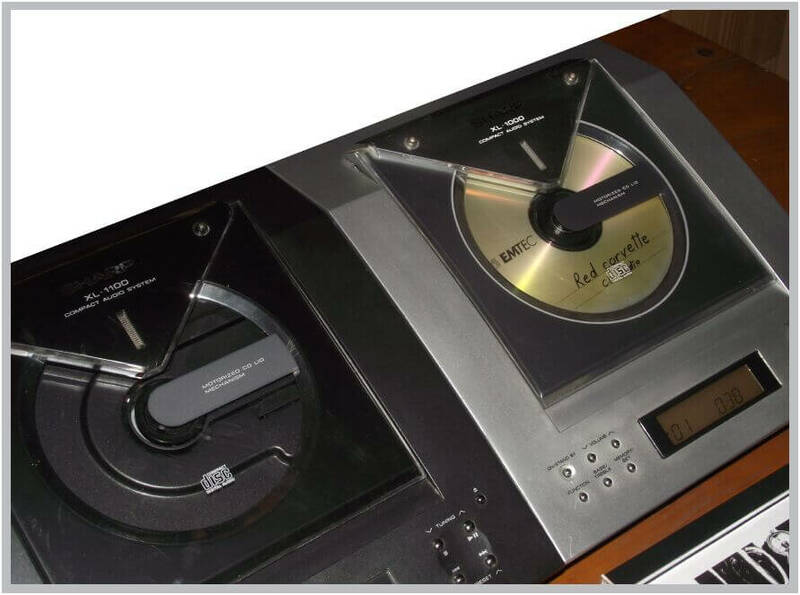 They are in fact both the same system with 2 x 10 W (RMS 10% THD) amplifier, motorised door and 1 bit D/A converter CD player, digital tuner with 30 random presets, headphone output and optical digital output. There is only one difference. 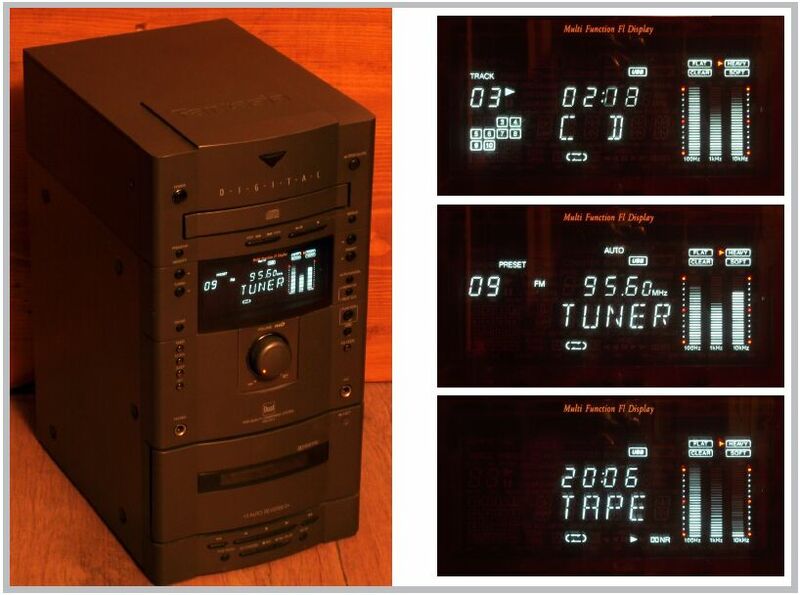 The display of the XL-1100 has blue light and the XL-1000 has orange light. Blue light is in fashion today, but the orange back light display is easier to read. 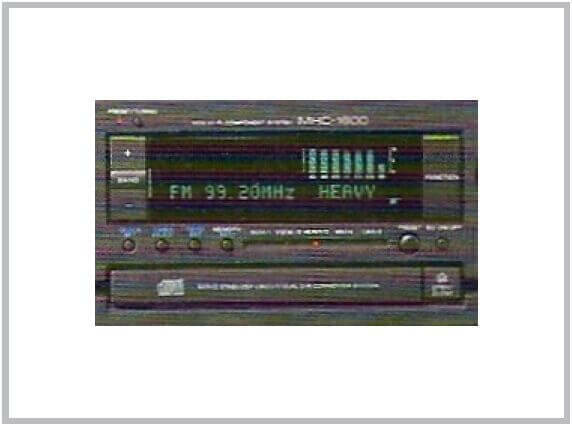 Another surprising rebadge of this unit was the KENWOOD HM-233. 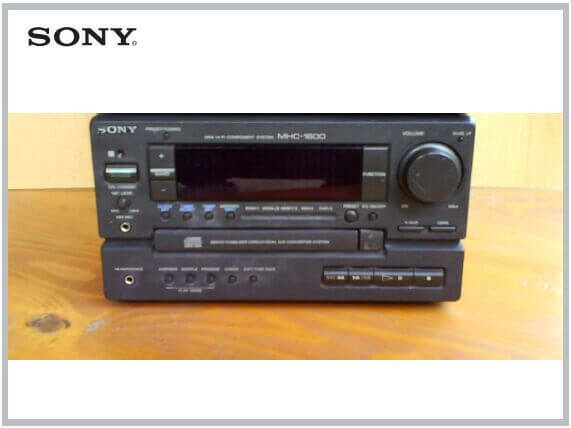 This is a SONY MHC-1600 (amplifier, tuner and cd player), part of the MHC-1600 CD system which also had a dual cassette deck, loudspeakers and remote control. 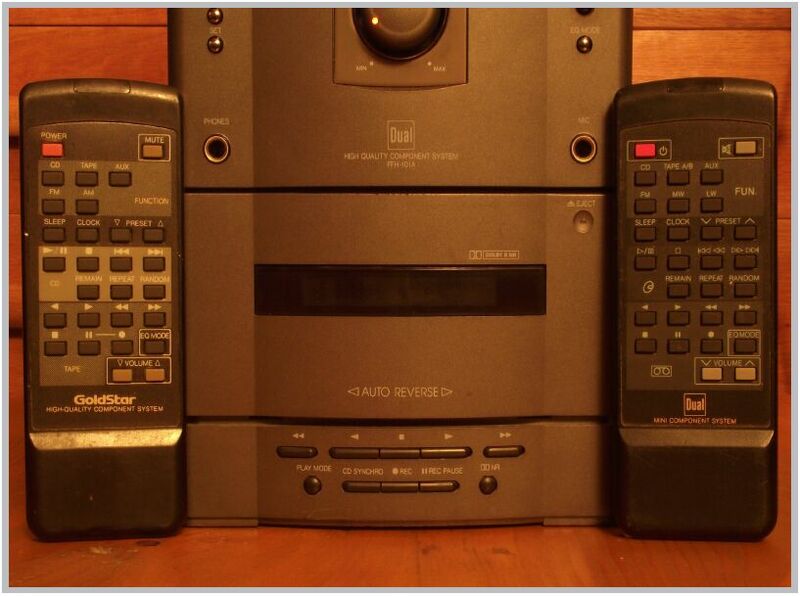 This unit can work as a standalone unit with different speakers and a SONY "friendly" programmable remote control. 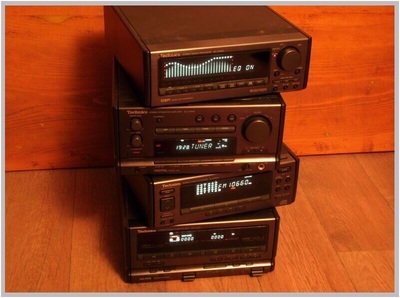 Some technical details are as follow: amplifier 2x30 W sinus, 7 band equalizer with 7 band spectrum analyzer, 5 EQ presets and 5 manual EQ settings, 40 programmes for your favourite radio stations. 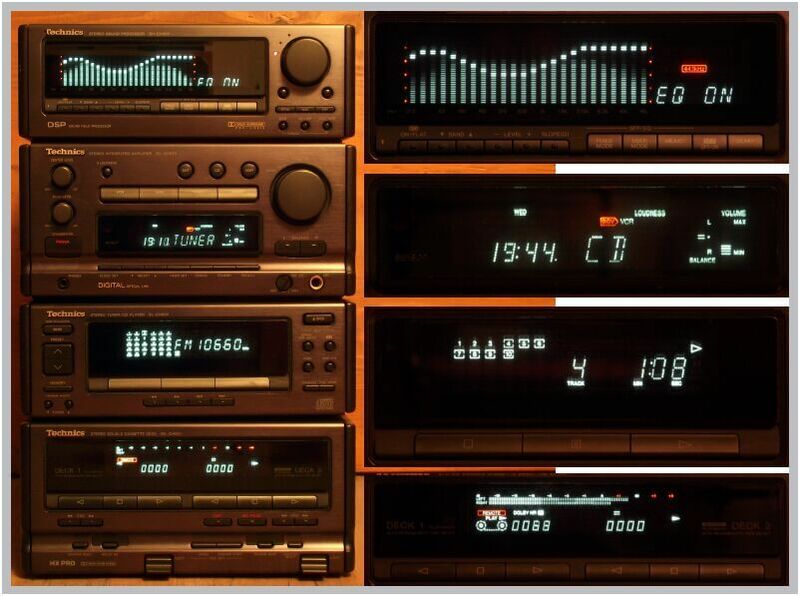 The CD player has a 1 bit D/A converter, 24 titles to programme and various edit functions to help you with your cassette compilations. Top of the line and an extremely complex system for those who wanted a compact system, but not so special for those who wanted a high quality system. It has so many functions and settings that it is difficult to operate it even with the instruction manual in front of you. 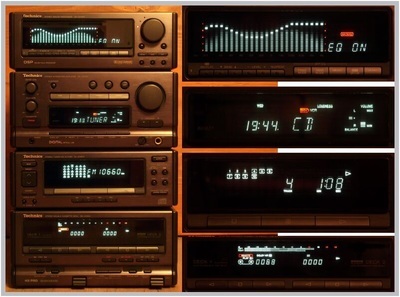 - From top to bottom first there is a sound processor with equalizer (manual and preset curves), Digital sound field processor, Dolby PRO-LOGIC and Karaoke functions that can be infinitely combined and shaped. 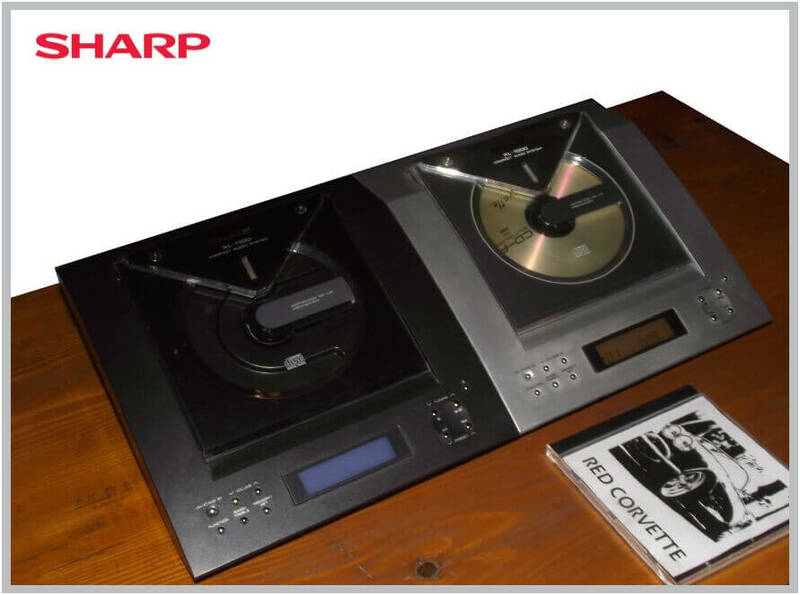 - The second unit is the integrated amplifier with a function display and timer with controls for center and rear levels for surround sound operation. 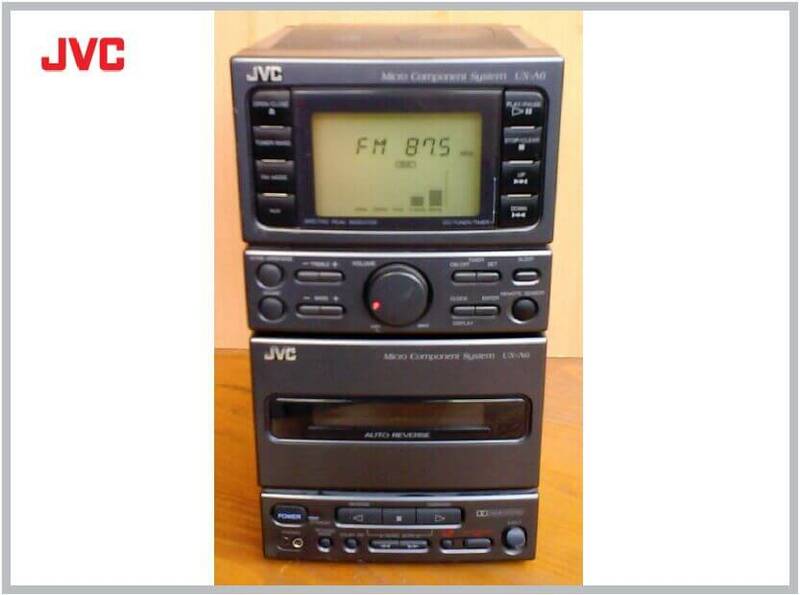 - The next unit is a tuner-CD player combination with a big display. 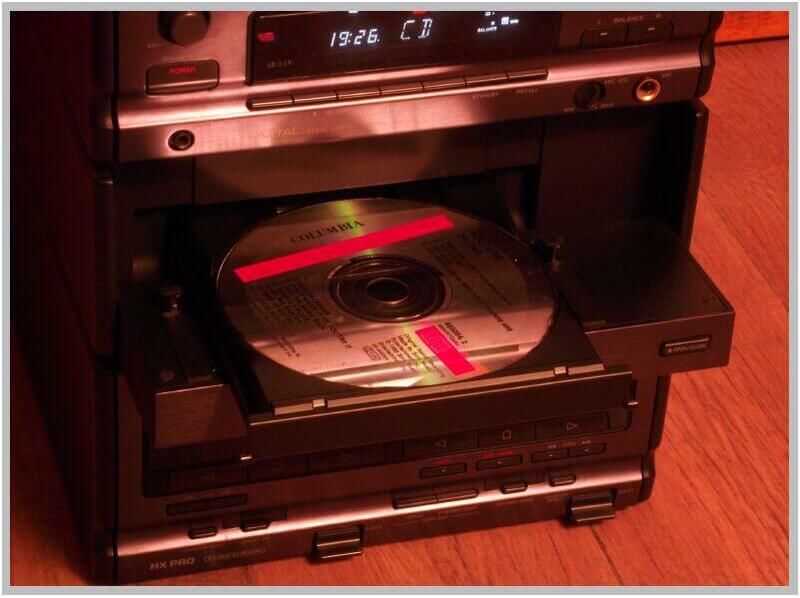 The whole front panel flips down to acces the cd tray. - The last unit is perhaps the most satisfactory. 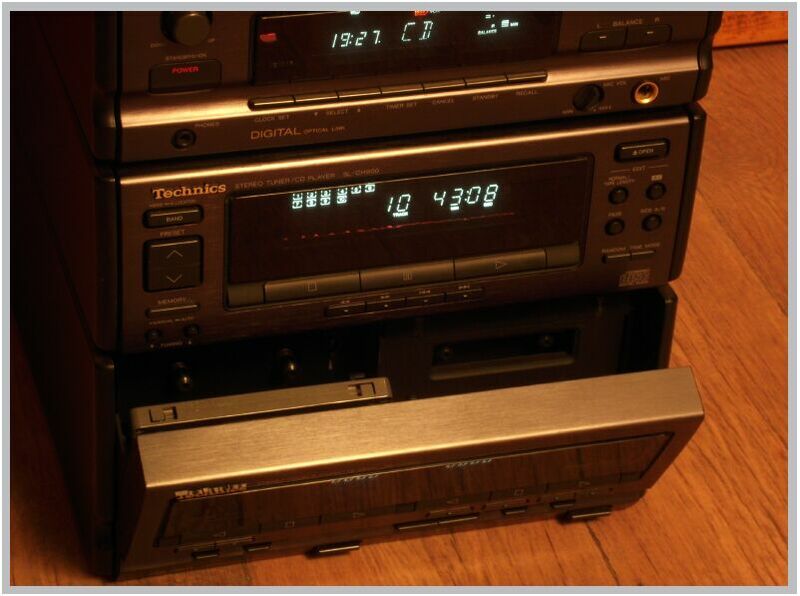 It is a double cassette deck with both cassette being autoreverse. The recorder cassette has an automatic (CCRT) bias, level, eq and automatic record level setting that works fine. It also has Dolby B and C with HX Pro noise reduction. The whole system is functional only if you have all the 4 pieces and are linked together with their special cable. On top of this, the CD player "makes music" only if it is connected to the sound processor using a digital optical cable. In conclusion this is a very good system, but too complex for the average user to operate.